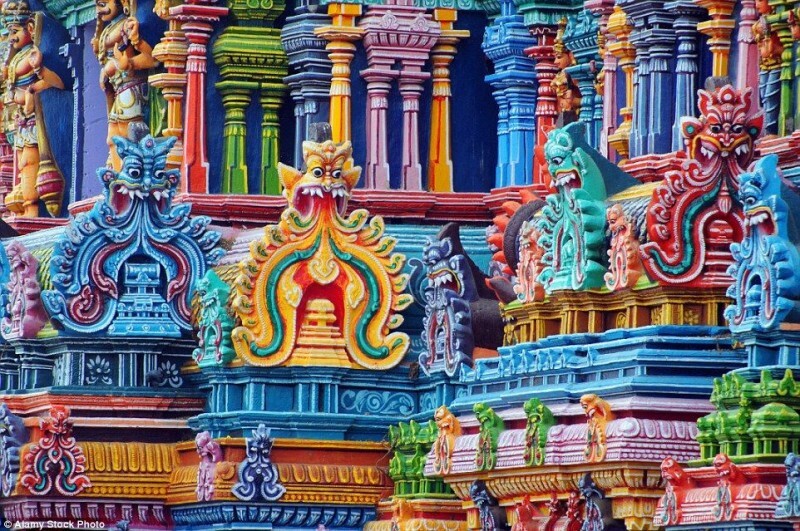 There is no chance of missing these colorful temples in India as they’re painted every shade of the rainbow. 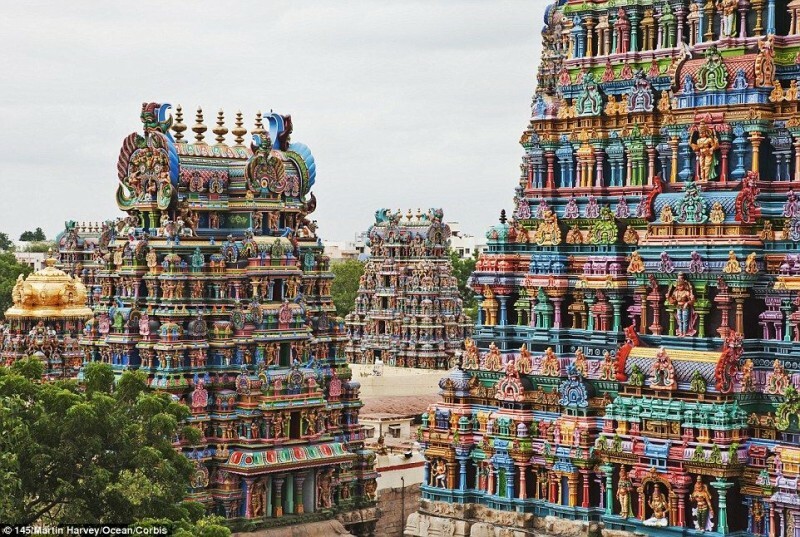 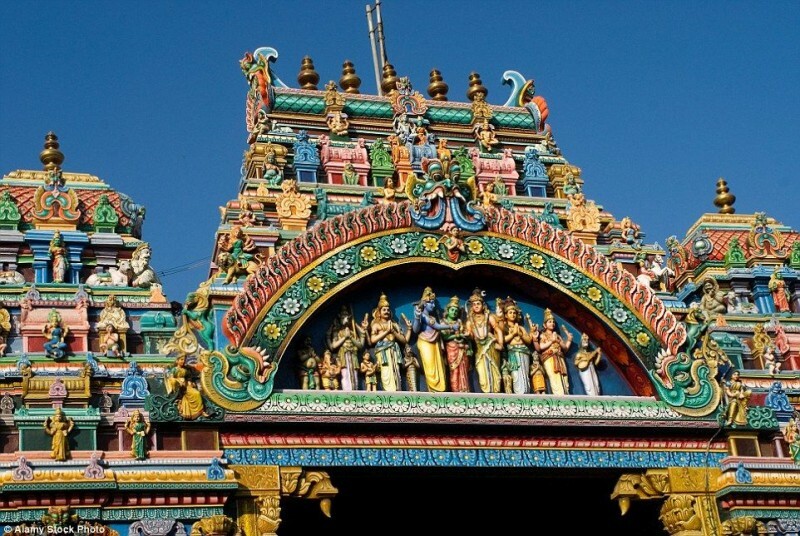 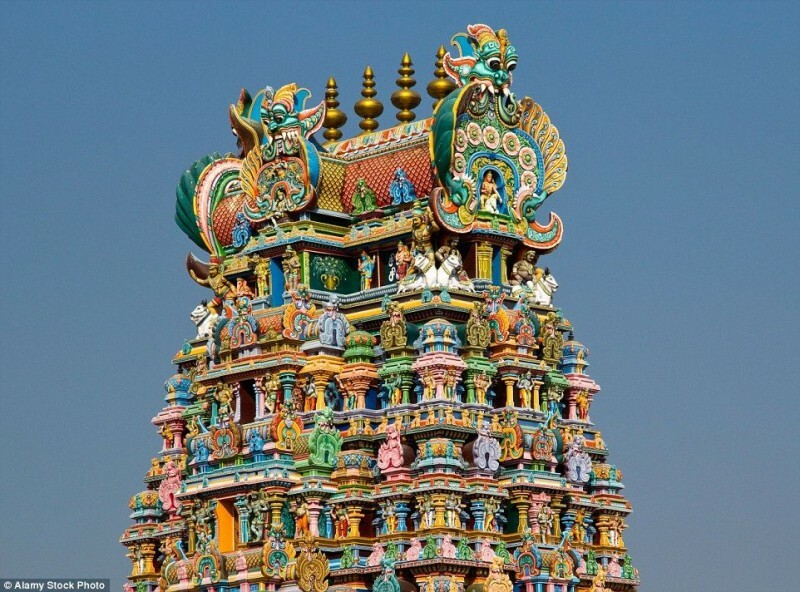 Meenakshi Temple is a master piece and was the center of activity for the promotion of art and culture in Madurai. 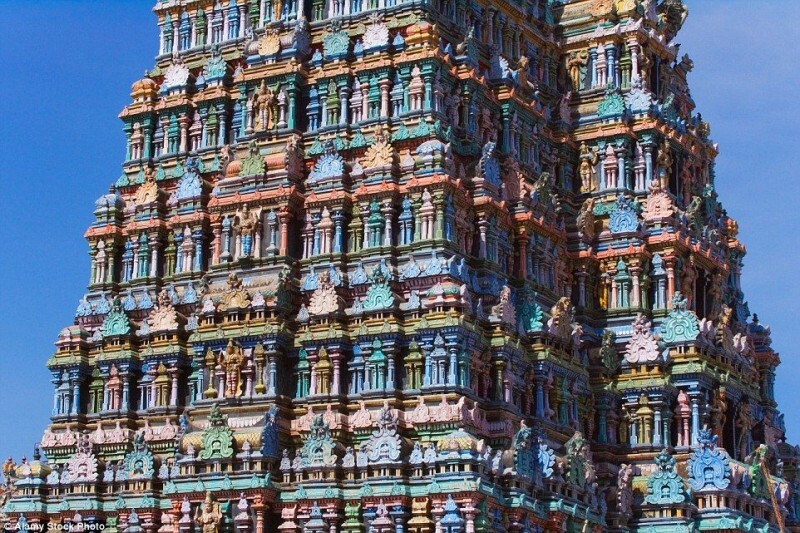 The temple complex covers 15 acres, and has 4,500 pillars and 12 towers — it’s massive! 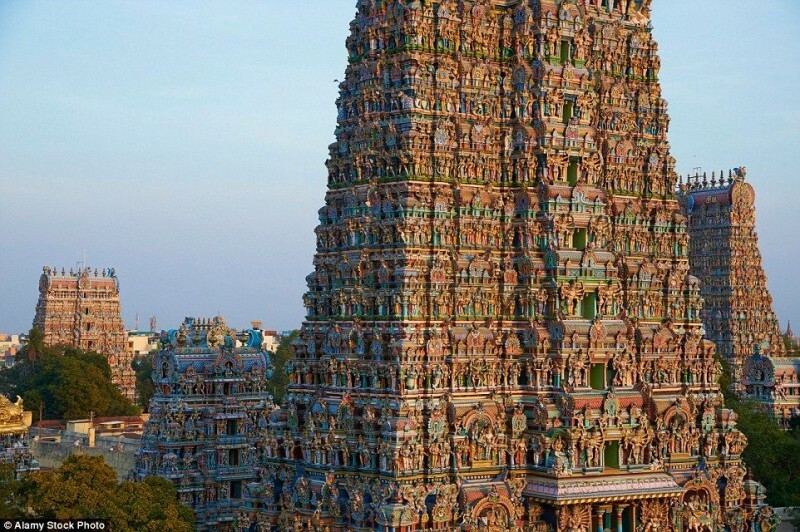 The tallest tower rises to 170ft and attracts around 15,000 visitors a day, who flock to the temple for blessings. 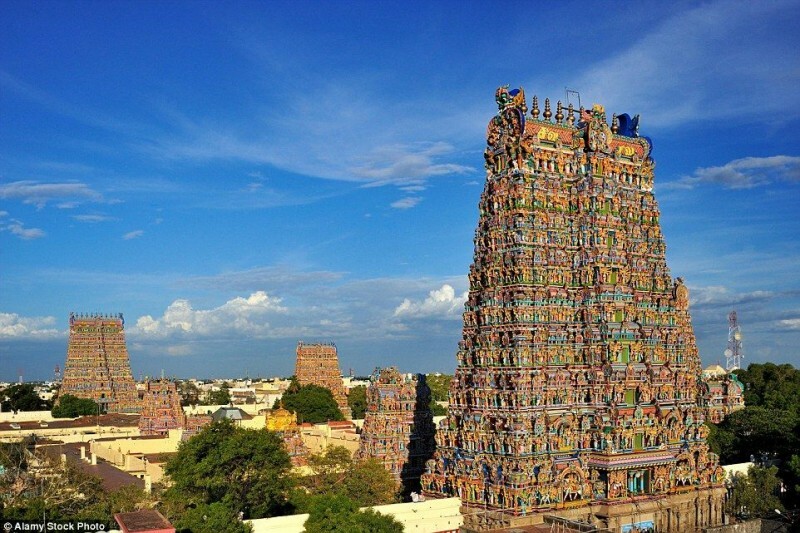 The temple forms the heart and lifeline of the 2500-year-old city of Madurai. 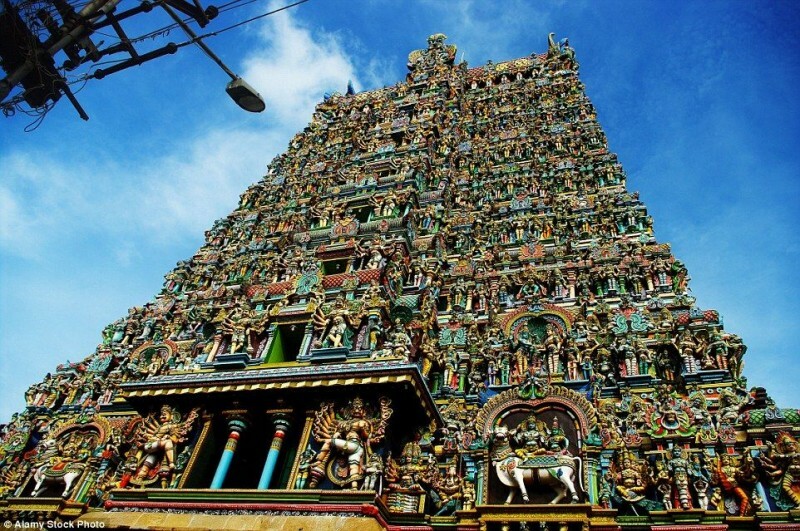 The Meenakshi temple was almost completely destroyed in the year 1310 following the invasion of the Islamic conqueror Malikkapur. 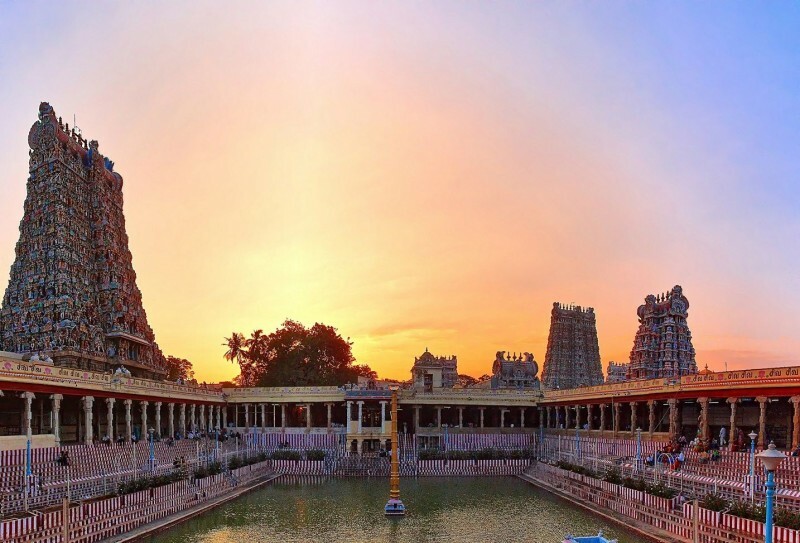 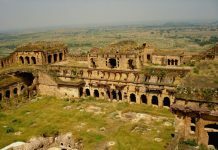 The present structure was built between 1623 and 1655 CE by Nayakas, who ruled Madurai from 16th to 18th century. 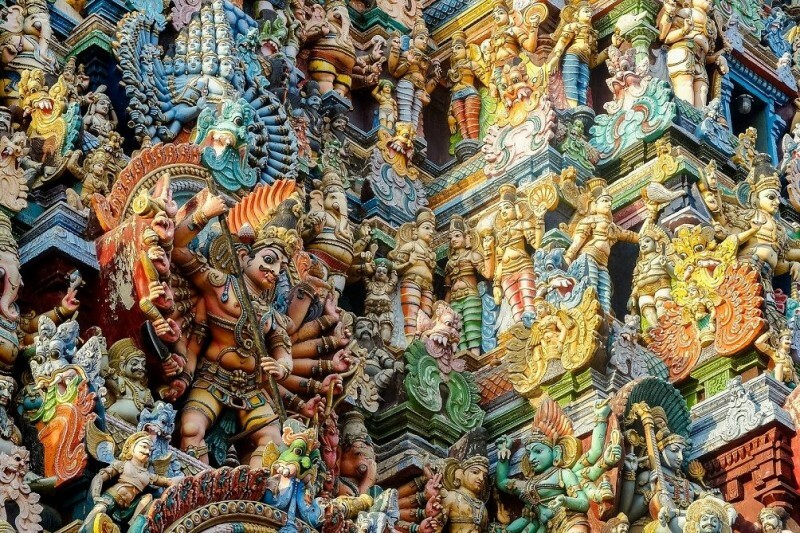 The thick layers of enamel paint that can be seen today have been applied to the gateway towers, or gopurams, in celebration of big events and festivals over recent years. 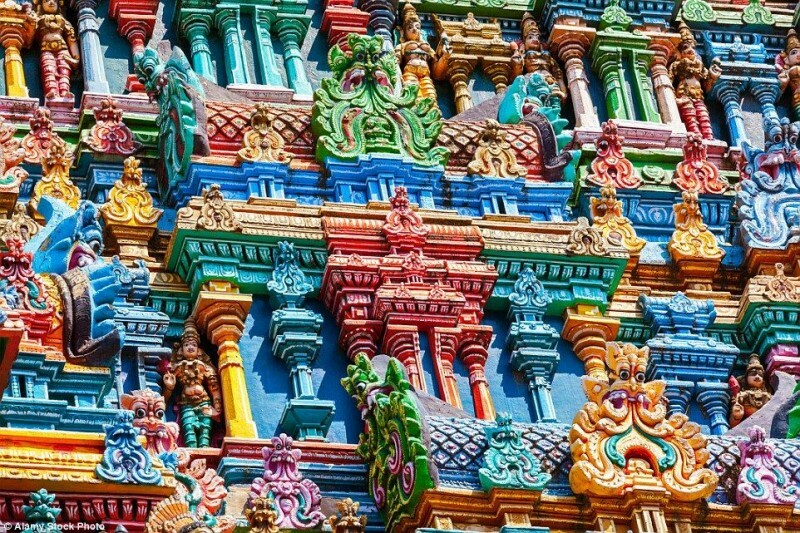 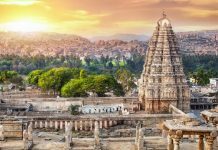 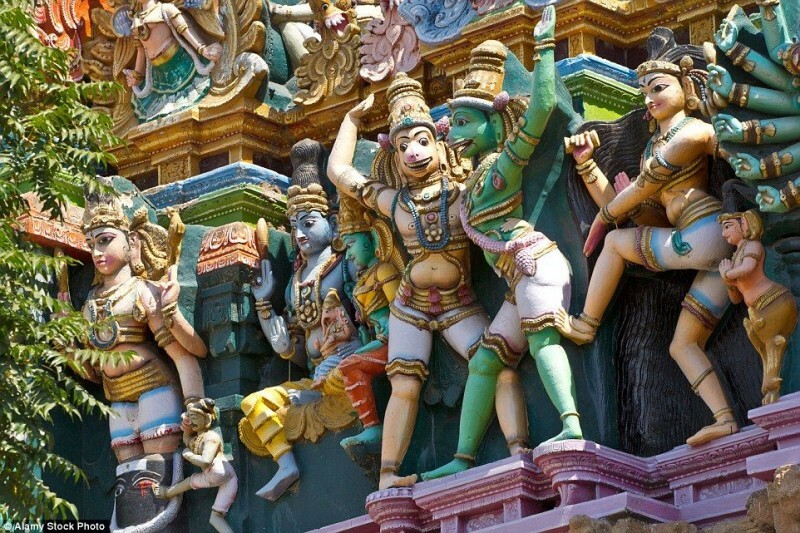 Each gopuram forms a pyramid shape, with the stone figures of gods, goddesses, demons and animals covering the multi-storied structures. 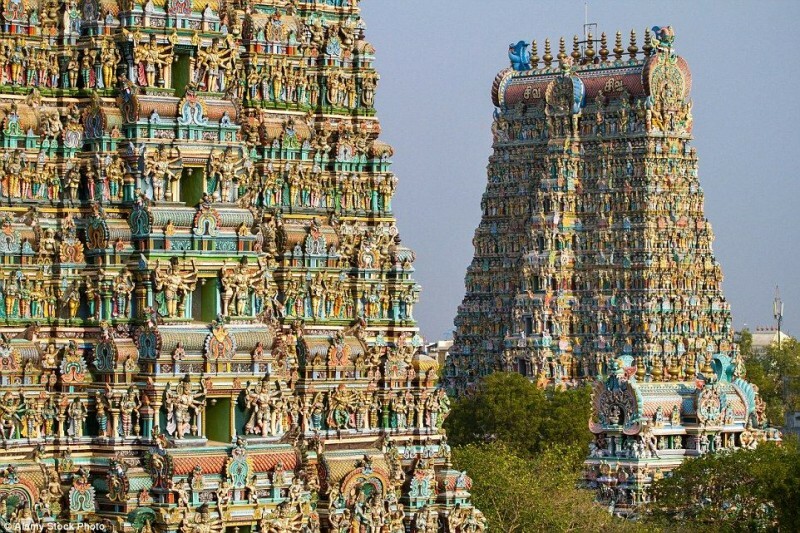 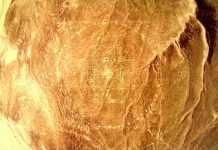 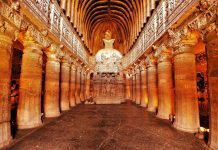 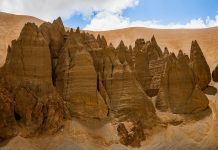 It was on the list of top 30 nominees for the “New Seven Wonders of the World”. 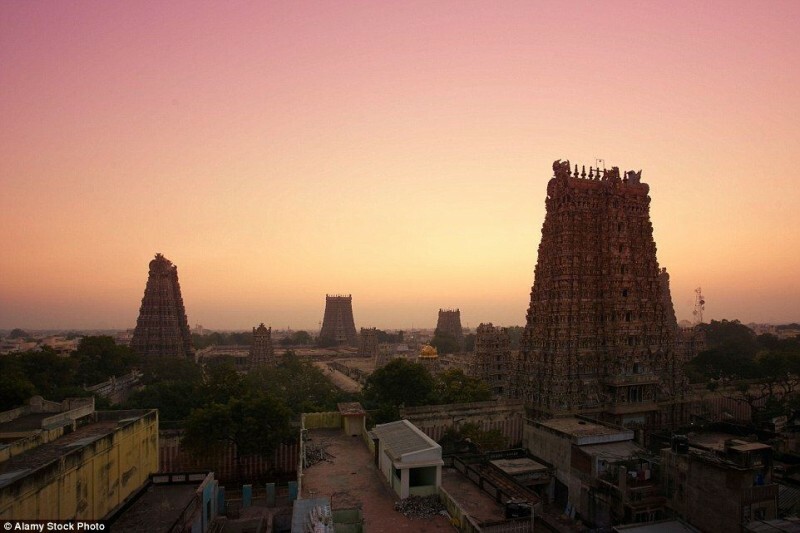 Sadhu Paul and I climbed that Tower on a Full Moon night in 1970. 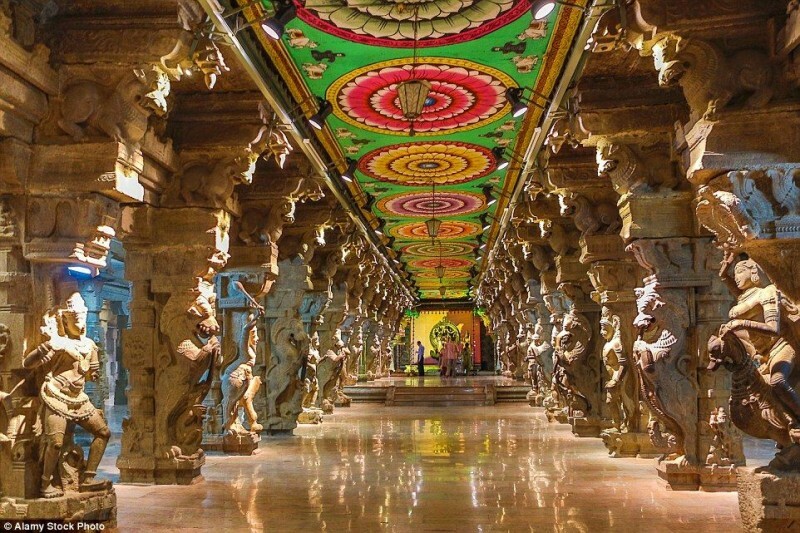 The energy at the top was magical.We had to fight off the bats and Paul got spider bites.But still magical.